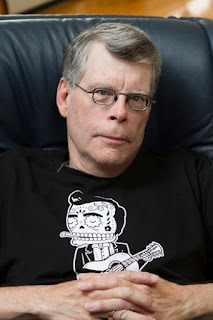 Realm of Horror - News and Blog: BFI Southbank presents "Stephen King Season" this Sep-Oct.
BFI Southbank presents "Stephen King Season" this Sep-Oct.
Is there a contemporary novelist who has had a greater impact on cinema than Stephen King? Since Carrie’s telekinetic meltdown at the prom over four decades ago, his creations have hit screens, both big and small, with unwavering regularity. Scarcely a year passes without a handful of new interpretations, and now, with over 100 features, shorts and (in name only) sequels in existence, the ‘Stephen King movie’ is a sub-genre in itself. But while King’s name is synonymous with horror, this season proves his work can make for richly varied, genre-bending cinema. As 2017 sees an exciting new crop of adaptations including It and The Dark Tower, and King’s 70th birthday, there’s no better time to celebrate and re-evaluate his invaluable contribution to the moving image.